Here's a quickie card and tags I made using featuring the new Framed Tags - Hug It Out dies. Love them! Oh I so love this new release! Not only I can make Chinese New Year card, I can even make my own Hong Bao now, YAY! I so love Lion Dance. OMG - I'm so excited for the Lion Dance. I have been learning about the Chinese culture over the past 15 years as I work with a woman from China. I know that red envelopes are given with money for good luck. 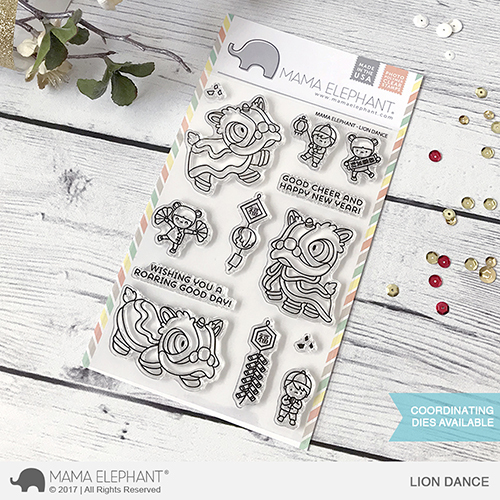 I'm excited to be able to make some of these with the new stamp set.